Our product range includes a wide range of refined free flow iodized salt. 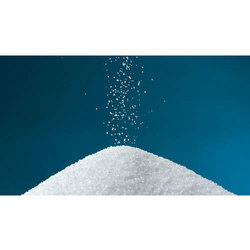 We have emerged as a reputed supplier of the best range of Refined Free Flow Iodized Salt. It is very pure and is manufactured to meet the various needs of our customers. Offered items save the consumers from different diseases as it is greatly enriched with enough amount of iodine. In addition to this, we are supplying this item at a reasonable rate. It is largely used in dry fruits, cattle feed and pickle.